Residents and guests of the city Elena near Veliko Tarnovo will have the opportunity to enjoy the popular motor show “Police Academy”. The event will be on Thursday, October 4, at 19:00 at the entrance to the Chumerna City Stadium. The Police Academy Show was created and produced by Ivo Dolapchiev, who worked with the best stunt shows for many years. Accumulating experience and skills, he decided to create his own show, which has had great success in Italy, Greece and other countries. Last year he formed a team and held his performance in Bulgaria. His national tour includes dozens of cities and entertains lovers of high speed and adrenaline. 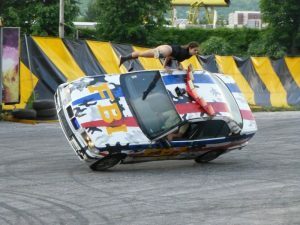 The attractive stunts done by “Police Academy” include driving a car on two tires, extreme stunt driving on the bonnet, acrobatics on bikes, amazing performances during ATV rides, a burning person, a fire show, a powerful dragon demonstration, a motorbike rollover, a car ride through a burning “bomb” and many more. 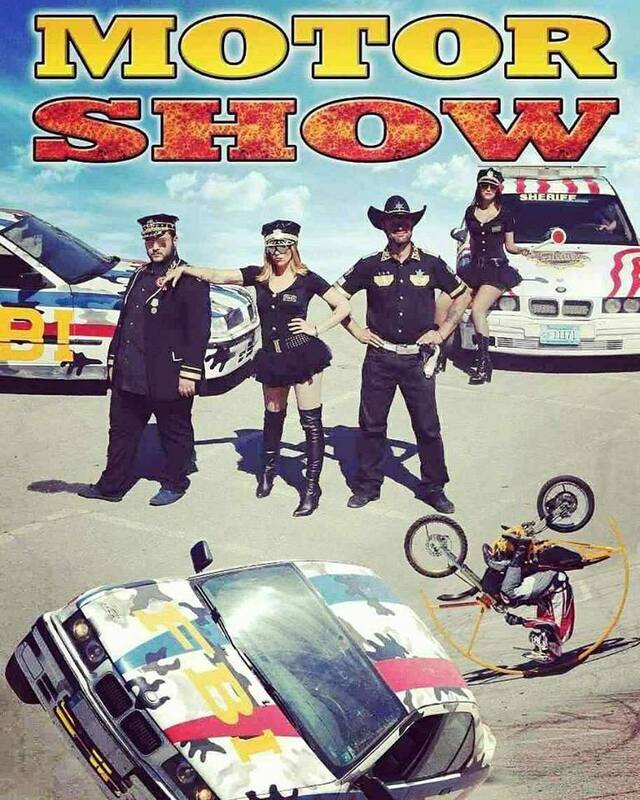 The show is not just a demonstration of master stunt skills. The whole performance is subordinate to a storyline and all actors have their roles. For gratitude to the audience after the show, the stuntmen perform the extremely dangerous number called “Globe of Death,” in which they include a person from the audience. The whole team works as a whole, driven by strong adrenaline, incredible emotions, artistic enthusiasm, strong spirit, good friendship and the cause of course. The performance itself resembles the filming of a real live action movie. In the Police Academy performance, the police must protect an extremely valuable diamond – “Bram’s Eye”. However, a recently released from prison dangerous thief is preparing to make the strike of the year against the police. All chases, persecutions and attacks are in the form of motorcycle stunts, ATVs, cars, buses, burning stairs and dangerous stunts. The Police Academy motor show is definitely something worth watching. Everyone who has the chance and who are in or near Veliko Tarnovo should take the time to see this amazing spectacle.